Stephen Nicol has spent his scientific career working with krill in the Antarctic as well as in Canada and South Africa. Nicol was born in Ireland and had an eclectic education in England, the United States, Scotland, and Canada. 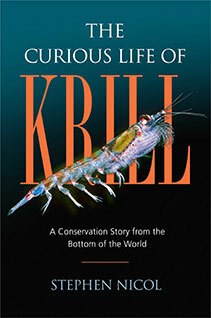 He has published extensively on many aspects of krill biology, on the management of the krill fishery, on the Southern Ocean ecosystem as well as on more esoteric aspects of human interactions with krill. He worked for the Australian Government’s Antarctic Division for twenty-four years as a research scientist and program leader. During that time, he also served on Australia’s delegation to the international commission that manages Antarctica’s fisheries. 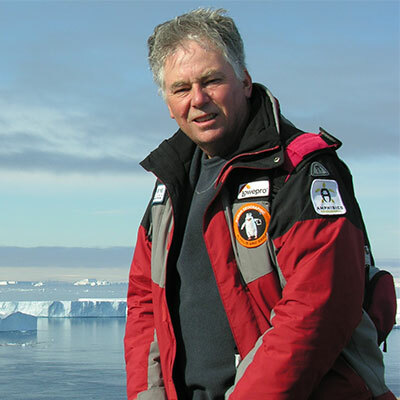 He was awarded the Australian Antarctic medal for his services to Antarctic research in 2011. He led four major voyages to Antarctica and has participated in another four. In 2011 he retired and enrolled in a master’s degree program in creative writing, which resulted in several published short stories, photographic essays, and travel articles—and this book. He supervises graduate students and lectures at the Institute of Marine and Antarctic Studies at the University of Tasmania where he holds the title of Adjunct Professor. He provides advice on krill to bodies such as the Antarctic Krill Fishing Association, to various conservation organisations, and to anyone who will listen.